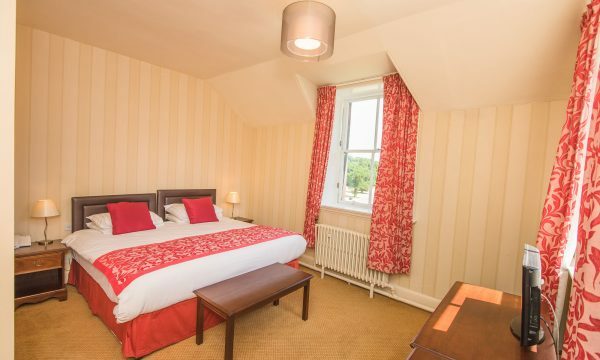 We have two Family Rooms one which sleeps 3, with a double bed and 1 single beds. The other Family Room sleeps 4 people, with a double bed and 2 single beds. 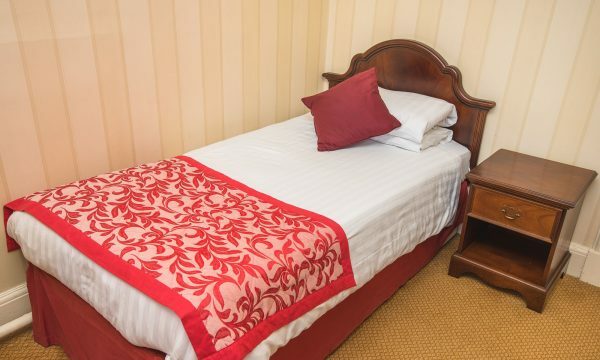 Both Family Rooms have ensuite facilities. "beautiful place and surrounding area and great staff"
"wow what a place. warm welcoming staff. The views and walk around the grounds are beautiful." "Stayed here recently with my wife and what a great place. Staff were excellent, very helpful and knowledgeable. Evening meal and breakfast next morning were very good with a great choice. Ben, our waiter was very helpful. Room was superb, very large with great views over surrounding countryside, bathroom excellent with toiletries supplied. Tea & coffee facilities, large tv, with WiFi available in room." "This is the third time we have visited Friars Carse and we have always had a great time. This visit included our dog and the hotel was so dog friendly, with a padded washable dog mat and a bowl provided, and great walks in the grounds along the river. Breakfast and dinner were great with plenty of choice and we were able to eat with our dog in the bar, with the full restaurant menu available. Staff were really friendly and attentive and we will definitely be back!! Please phone to book in your pet dog "
"My wife got a gift of a one night stay in a scottish hotel we picked friars carse.wow we was not dissapointed it really is beutifull and in a stunning area the staff the food and the room was above our expectations we will 100% be back next year"
"We have enjoyed our stay here, good big room, friendly staff, and the food is excellent and presented well, hope to return one day. Thank you Friars Country House"